Coordinate the Colors or Go Scrappy! 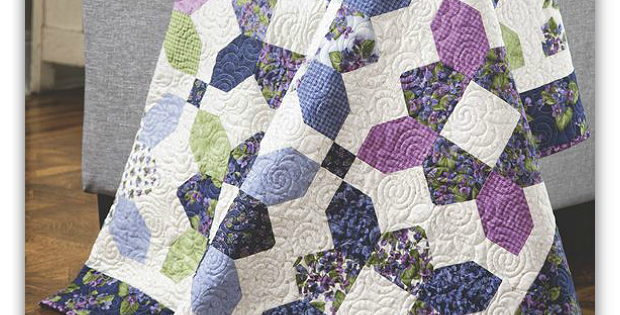 Two easy blocks combine to make pretty flowers in this charming quilt. 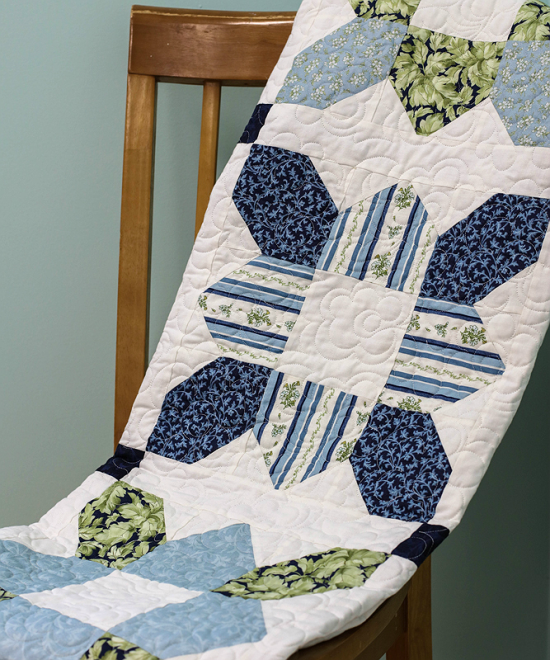 It’s a simple quilt to make and one you’re sure to enjoy for years to come. Since it’s made from a pack of 10″ squares, the colors are already coordinated for you. However, you can just as easily make this from leftovers in your stash, giving it your own unique color combination. Found on Pinterest. No other info provided. Scrappy version by Laura Alfonzo and quilted by Kathy Schulz. 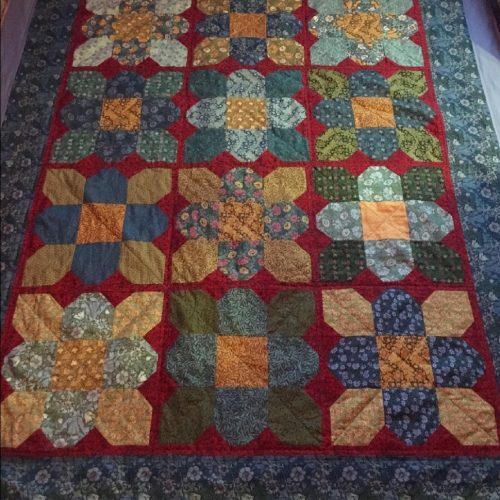 Quilt, with slight modifications, by RavennaGirl. 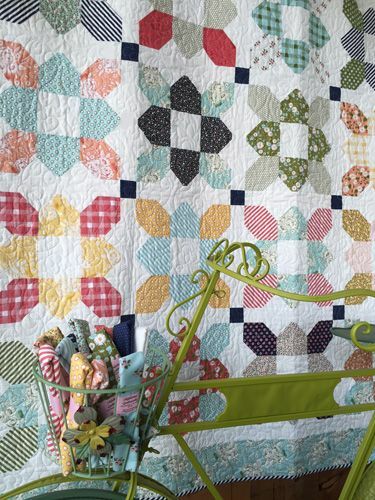 In the following video tutorial, Jenny Doan from the Missouri Quilt Co. shows you how to put this quilt together. The finished quilt is 74″ x 89″. 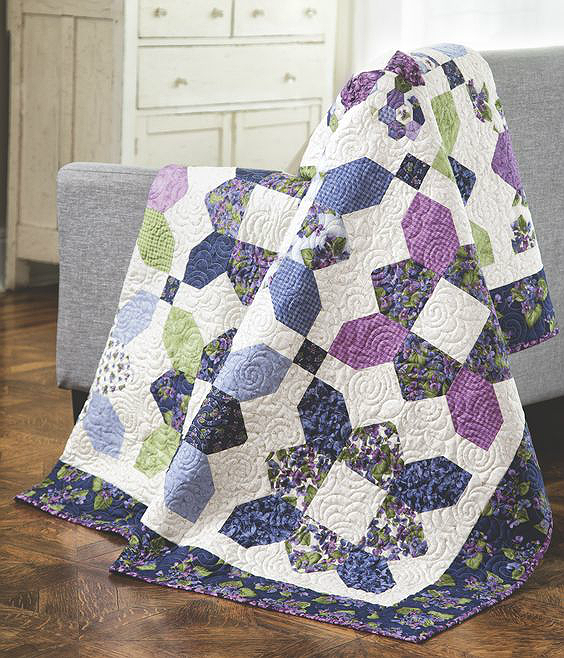 Click here to learn more and get yardage info for the free “Prairie Flower” quilt design.